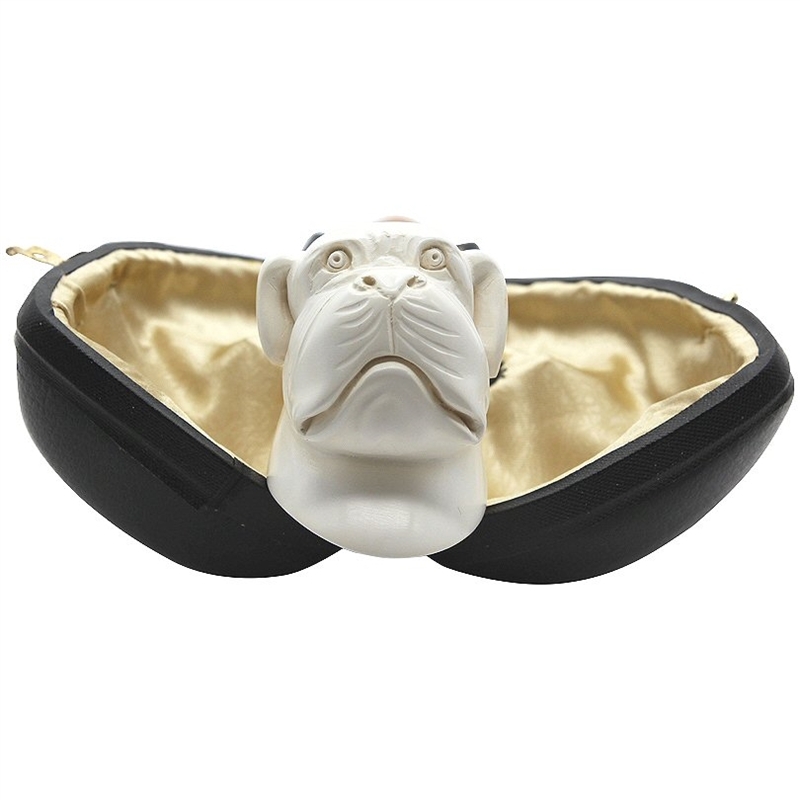 Special Hand Carved Bulldog Dog Meerschaum Pipe - Puppy dog eyes stare out of this big dog pipe suitable for a big hand. The smooth carved ears come down each side of the pipe bowl yet you can envision them flopping in the wind. 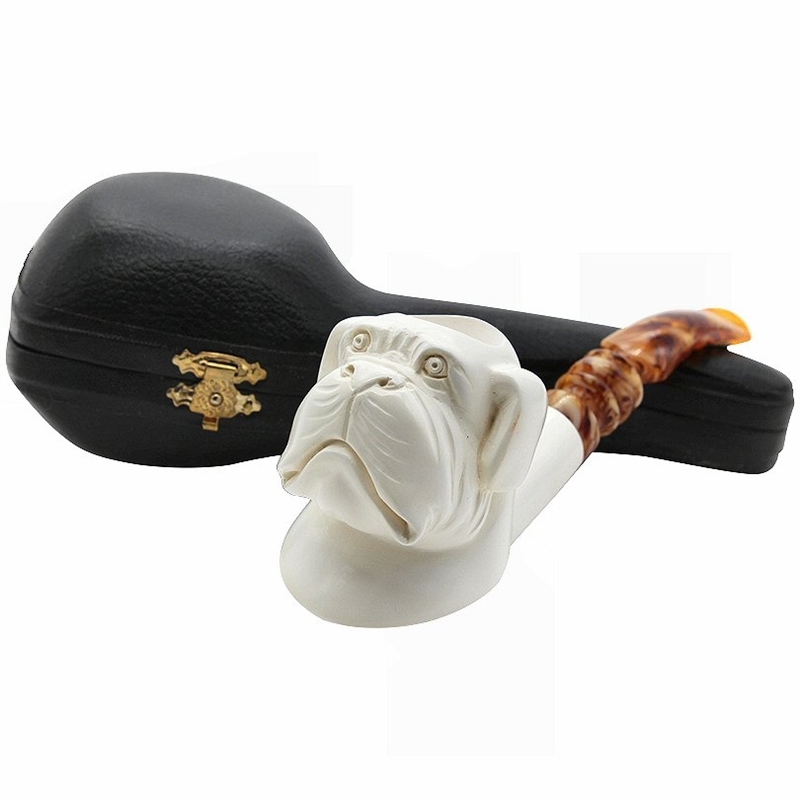 The pipe has a nice thick bowl with a smooth underside and smooth shank with just a touch of decorative lattice carving. The pipe has a rich colored turned designer stem. There are not many meerschaum dog pipes available, so who can pass up on this special puppy dog face?